Arnold has been active in the sports and fitness world ever since a young age. Growing up, he competed in the USTA tennis league until the end of his high school career. After graduating from the University of Oregon in 2012 with a degree in General Science and a minor in Chemistry, Arnold returned home eager to pursue his excitement for both fitness and healthcare. He currently works as a histotechnician but has found a real passion in focusing on his Crossfit career. Arnold’s crossfit career began back in college where he grew tired of the routine trips to the school gym (bench press 4x a week, no joke). Then in 2012, he stumbled upon videos of people engaging in crazy exercises on Youtube. 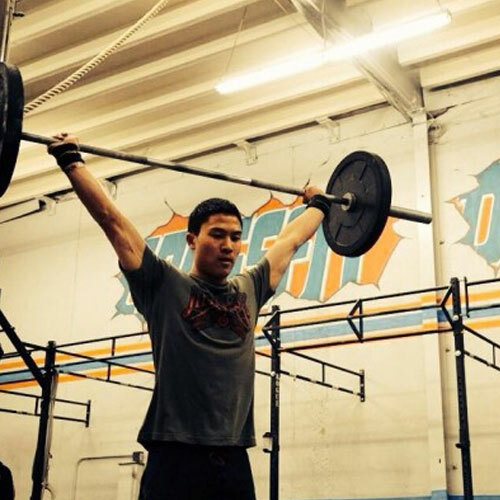 Feeding his curiosity, he joined a membership to Eugene Crossfit before ulitmately returning to the Bay Area, where he unknowingly would find his second “home” at Crossfit Danville….. the rest is history. Currently Arnold is Level 1 Crossfit certified and coaches Fundamentals along with a Stretching/Mobility class. As a teacher and student of the Crossfit program, he is constantly amazed by the self improvement and positive nature that Crossfit develops in every person that steps through the gym door.